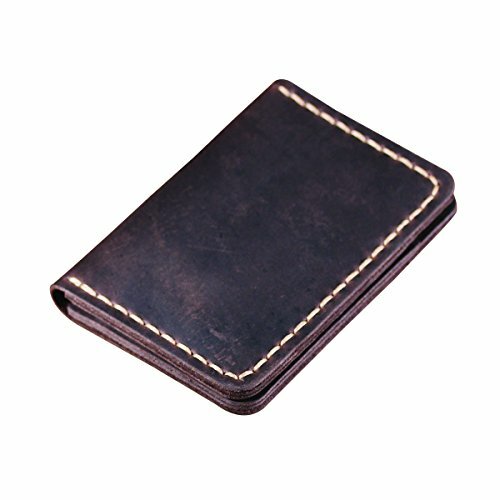 Products Features: - Materials: Top Cowhide leather - Color: Available in 3 color - Black, Brown, coffee - Dimensions closed: 11cm x 8cm/4.33"inch x3.15" inch - Style: Vintage - Package Contents: 1 x Front Pocket Leather Wallet This Bifold Leather Wallet with 4 credit card Slots, 2 pocket for cash, holds up to 8 cards + folded cash, it is perfectly suited for small stack of cash, credit cards or receipts. 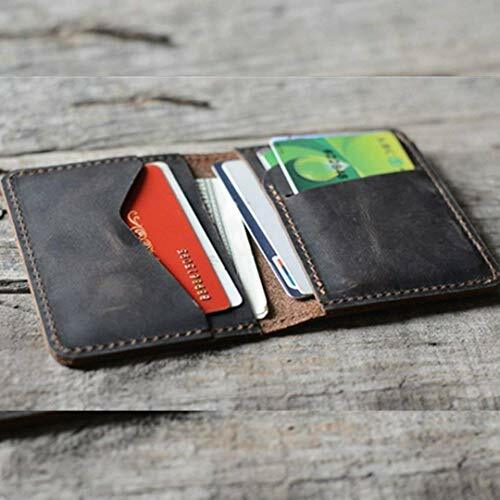 There's enough space to fit the items you use the most in order to keep your wallet small and convenient. 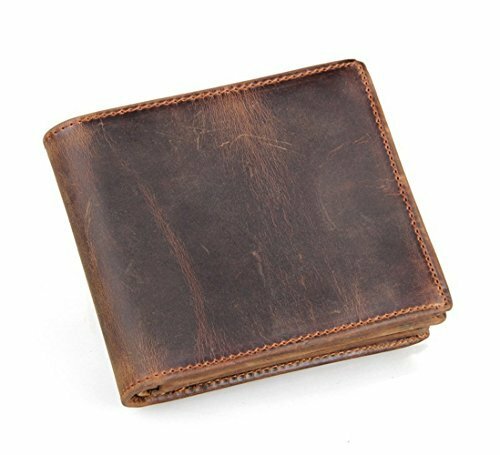 It is entirely handmade of top distressed cowhide leather. 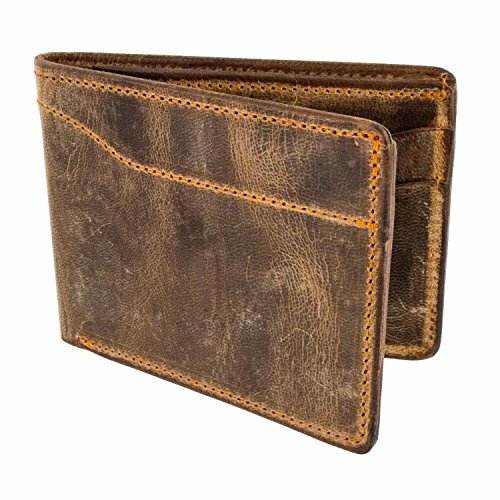 Distressed leather, or call "crazy horse leather", has a rustic feeling. 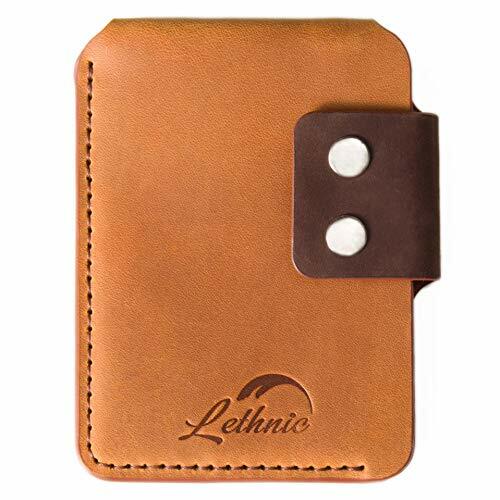 At the beginning, it is easy to have some scratches on the surface which are easy to get removed by hands. 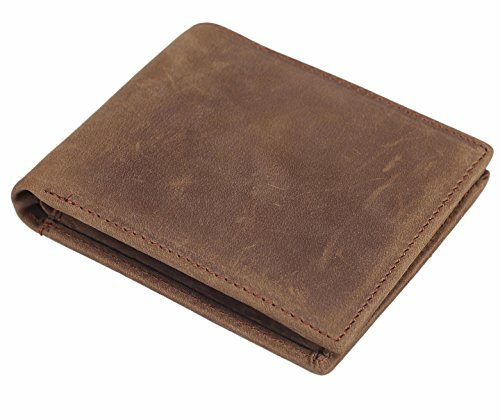 With times and usage, the surface will gradually become a smoothing, shining and gives the wallet a very nice vintage look. 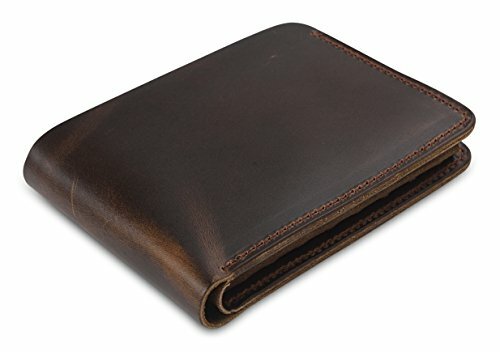 Each cut of leather is organic and unique: colouring may appear slightly different than shown in the images. 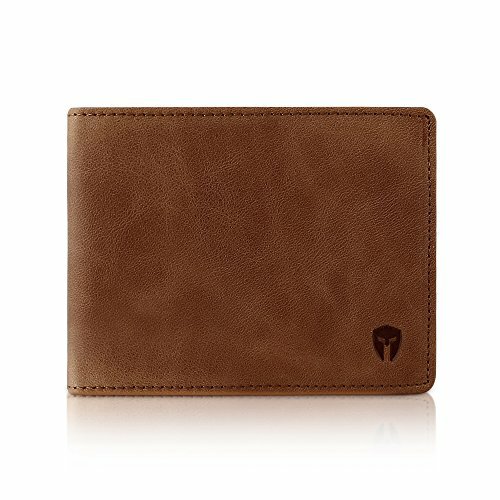 Want more Handmade Mens Wallet similar ideas? Try to explore these searches: 48in Depth, Lufkin Mezurall Tape Measure, and Primitive Gingerbread.